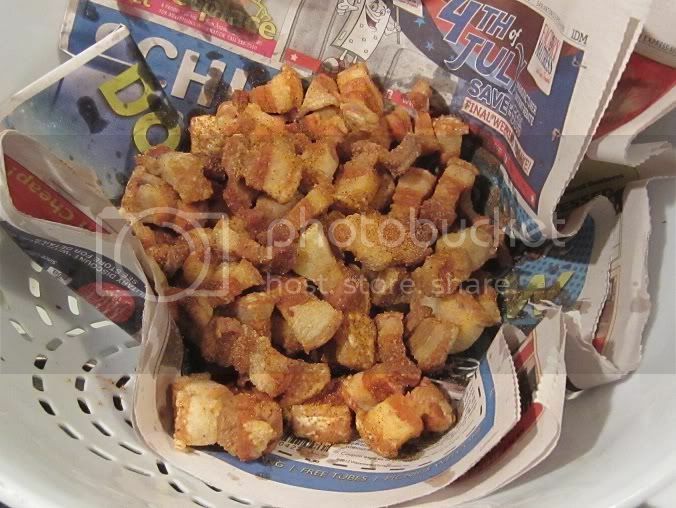 Re: Pork crackling, you guys make it? The taste is heaven, it just crumbles in ya mouth. I get skin from local butcher and cut as much off apart from skin only, I cut into about 2 inch x 3/4 inch wide. Put on pan skin side up, sprinkle salt on it then put into middle of the oven at 220celsius and watch like a hawk, as it folds up and crackles. The picture is finished crackling. I take a bit of it down to the pub on a Friday. Guys love it with their beer. 4 piece limit to the guys. Never made them but they are great with a cold beverage. That's good hangover food right there. Lol, I spose a hangovers worth the risk to taste. Next time I'm away with the boys,lol. Absolutely! I make mine a tad different though. 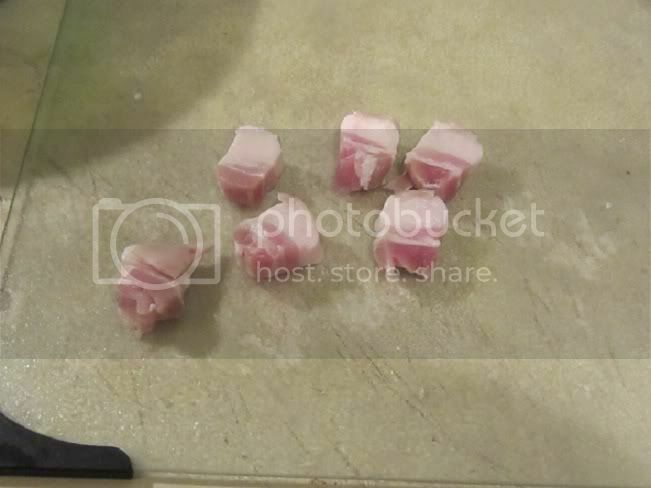 I take some pork belly and cube it up to roughly 1/2" cubes like so..
Then sprinkle with a secret homemade Cajun seasoning while fresh out of the fryer. They are excellent! I'm gunna try that way and see the difference. Thanks for pics. Then skin side up and salted , over a slotted tray with pan underneath. 200 deg Celsius and watch it until it stars crackling and spitting and turning in on itself. Near end you can grill but DON'T burn it. The taste is unbelievable with a beer. You can't get enough. The pics I've put up that crackling will get devoured in 5 minutes at the pub tonight. Finished to be shown when I've cooked it.